This is a novel, not a historical account and acts as a song of love for one’s country. 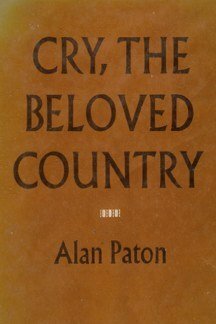 Author Alan Paton was a native South African, Christian, and outspoken opponent of apartheid. Though the novel has sold millions of copies, it should not be surprising that it came with mixed reviews. Upon release, few Afrikaans newspapers would review it. The protagonist is Stephen Kumalo, a kind, elderly priest who leaves his small village to find his sister and son in the giant city of Johannesburg. He originally received a letter saying his sister Gertrude had taken ill, but upon arrival he found that she was selling her body in prostitution (“she has many husbands”). But most of the book centers on Kumalo’s desperate search for his son Absalom. He had left for Joburg years earlier but had never written (“when people go to Joburg, they don’t come back”). Hot on the trail, Kumalo and the friendly priest Msimangu learn to their horror that Absalom had been in trouble, impregnated a girl, then murdered a white social activist during a burglary gone bad. Kumalo’s heart is broken. Absalom is convicted and sentenced to die. Gertrude fails to return home like she promised and becomes a nun. John, his brother, betrays his familial roots. But the story ends happily. James Jarvis, father of the slain, is a wealthy landowner and neighbor of Kumalo. He buries his hatred and takes up his son’s cause for racial justice. He even agrees to build a dam for Kumalo’s poor village. The book ends on the day of Absalom’s execution. As an American missionary who has lived in a rural Shangaan village for seven years, I am striving to understand the history of South Africa and the nature of the invisible walls that still exist between whites and blacks. After finishing this book, I was still perplexed as to why so many white South Africans are opposed to it. Why was it banned for years in South Africa? Why did an Afrikaans pastor friend of mine snarl when I mentioned it? True, Beloved Country does unearth some of the racial injustices in South Africa, but most of it depicts the white man as virtuous and the black man as troublesome but oppressed. There were repeated examples of blacks murdering and looting innocent whites, fornicating, lying, and arguing. The whites helped the blacks, sought social justice, turned the other cheek, and gave generously. Cry is filled with quotes like: “It was the white man who brought my father out of darkness” (55). “There are some white men who give their lives to build up what is broken” (56). “It will lift your spirits to see what the white people are doing for our blind” (102). If any thing, its the blacks who should have the greatest gripe. This work is considered to be one of the great South African novels. 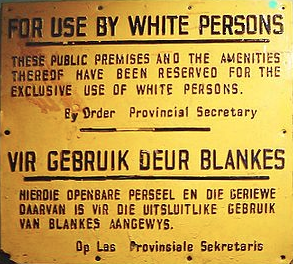 With apartheid officially becoming law just a few months after Cry was published, I am thankful that Paton courageously addressed the sins of racism. Unfortunately, the book is largely ignored. What would happen if a multi-cultural, gospel-centered, racially sensitive church encouraged its members to read though this book with another member of a different skin color? What would happen if whites and blacks used this book to foster serious dialogue about the litany of racial issues that still exist in South Africa today? Though this book is not Christian in nature, I believe God would use it as a tool to strengthen the local church.
. New York: Scribner, 1948. 316 pp.